Recently i stumbled upon the new webp ( pronounced “weppy” ) file format introduced by Google on the Google play store . The new webp image format provides lossless and lossy compression for images on the web. Right now Google and only a few other sites are using the webp format for all their image contents . Major operating systems like windows , Mac and image editing softwares like Photoshop are yet to support the webp file format . Since the webp image format is not a popular image format . I had a very tough time finding a free image converter tool that could convert webp images into other formats . while i did find a image converter tool to convert any file format into webp format , but there was no software for doing it vice versa . So with a quick search i found out a bunch of websites that could convert a webp image into other formats . here is the list of websites which can help you with converting webp images into other formats . If you want to open webp files on your computer then you can download a free webp codec from Google . The webp codec will enable the windows image viewer and other applications to view webp images on your computer . Download the webp codec . 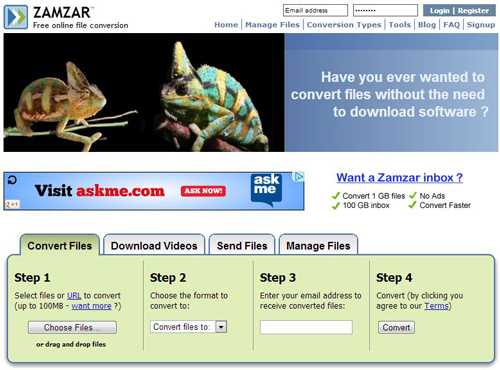 Zamzar.com is a free online image conversion tool that can convert any file format . the only problem with this tool is that , the site sends the converted image directly to your email . If you do not want to share your email address with zamzar.com then you can use self destruction free email service like 10minutemail.com to temporarily create a email address for 10 minutes and get the images delivered to this email . Online-convert.com is another free online image conversion tool to convert any image file online into other formats . This free online image converter is capable of converting from more than 120 image formats and limits the image size to 100 MB . The site is free to use and can virtually convert most image formats . It also allows you convert images by entering a image’s URL from any site online . Fortunately Google has already provided a free image converter tool to convert any image format to webp format . The free webp image converter tool is available for windows , mac and linux operating systems . 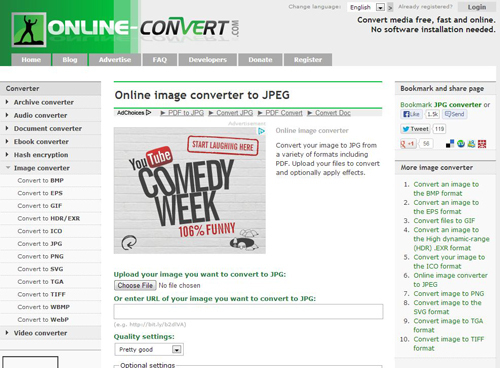 Download the cwebp image conversion tool and convert any image into webp format . I hope these websites did serve your purpose . if you have any other resources to convert webp images ten please do share it with us .